A wet winter is always great for park visitors looking for a splash of nature. 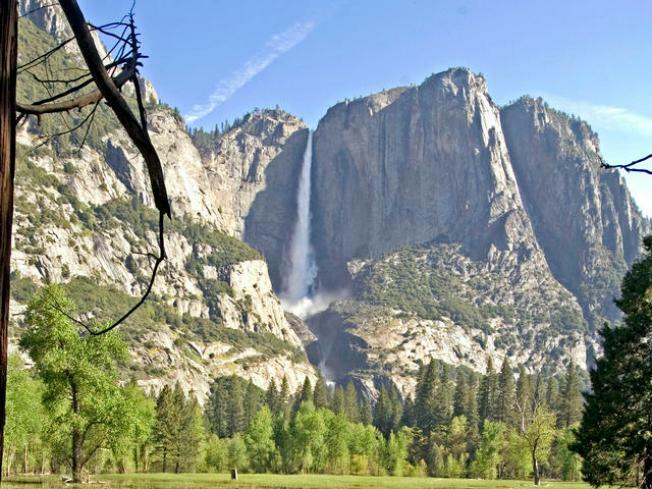 People are flocking to Yosemite National Park this spring in high numbers thanks to a promise of lots of water coming down those magnificent falls. There is so much water, some campsites are on flood alert. Just last weekend Tioga Pass reopened to vehicles for the first time in almost six months. It's still a little too soon to break out the backpacks. All the campgrounds along the pass are still closed because of snow in the Tuolumne Meadows area. Half Dome is also about to open to climbers, but there are big change this year. You need an official permit to get on the cables now if you plan to climb Fridays, Saturdays, Sundays, and holidays. Park officials say the majority of the permits have already been reserved. The cables that allow people to climb the final summit will be in place by next Wednesday, June 16. The 17-mile hike from the valley floor to the top of the rock takes hikers 4,800 feet up in the air. Metal cables and wooden planks are placed along the shoulder of the dome to help you get to the tippy top. If you still want to make the hike and you don't have a permit, they aren't required Monday through Thursday. Lori Preuitt climbed half dome on her 30th birthday. It was a great way to mark a decade.